Interested in solving real-world IoT problems? We believe that IoT is not only about connecting smart objects to the Internet. It's about solving challenges in our day-to-day lives. 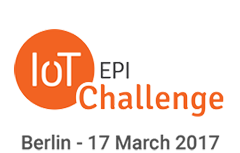 IoT-EPI offers technologies and budget to do so. Join us on our mission! Smooth on the Move: Enable citizens to make an informed decision for their own personal mobility challenges every day. Trusted IoT: Provide evidence to end-users that IoT devices behaves in the claimed way. Ahoy serves to help budding startups and freelancers steer clear of potential pitfalls by connecting them to a wider community of possible collaborators. We are looking for 2-3 person teams of Developers, Entrepreneurs, Students and/or teams from Startups, SMEs, Corporates.